Demonetization: Is Going Cashless A Possibility? Cash has undoubtedly proven a curse, irrespective of its color, for those who have been queuing up at the bank counters following the currency demonetisation. If going paperless is the best option, developed economies would have phased out paper currency several years ago. Instead, citizens in developed countries hold more currency per capita than the developing economies. In contrast to per capita holding of $4,200 in the US, average Indian holds an equivalent of just $171 in cash. Available evidence suggests that more than half of this cash remains unaccounted for, beyond the purview of regular tax reporting. No surprise, therefore, that despite a well-developed tax regime the US loses $500 billion annually by way of tax evasion. Although information on the underground economy is limited, estimates do indicate that growing economies have not been able to dig it out either. As a result, as percentage of GDP the underground economy constitutes a low of 7.1% in the US to a high of 17.9% in Belgium. On an average, underground economy worldwide constitutes no less than 14% of GDP. Even in countries like Sweden, which has witnessed a dramatic drop in cash usage in recent years, its underground economy is surprisingly still worth 15% of its GDP. Indian underground economy has varyingly been estimated to be between 24-30% of GDP. Simply put, despite its size ‘underground or shadow economy’ has remained an unresolved global phenomenon. Partly because in addition to supporting large range of blatantly illegal activities, underground economy includes in its ambit a large number of ordinary people, including farmers, wage earners and small businesses. It is for this reason that flushing out unaccounted money through cash demonetisation involves risk of causing collateral damage to a large section of the informal sector of the economy. The tradeoff is precariously balanced and risky! This is more so in India where informal economy constitutes an estimated 40% of the economy. It is for this reason that currency demonetisation has literally wrecked livelihoods of a large section of the vulnerable population, as normal banking operations may take several months to be restored. It would need a lot of doing on the part of the government to prove its motive that demonetisation has indeed restricted cross-border terrorism and that the gains from unearthed ‘black money’ will eventually lead to positive transformation of the economy? The loss to exchequer on account of tax-reporting gap has indeed been a serious concern, prompting the government to resort to demonetising large currency notes. However, lack of preparedness to back up demonetisation with adequate new currency supplies has done more harm than good. Experience shows that many European countries, including Germany and Belgium, which proposed a cap on the size of retail cash payments to improve tax-reporting gaps have learnt that tax evasion is a much larger issue. 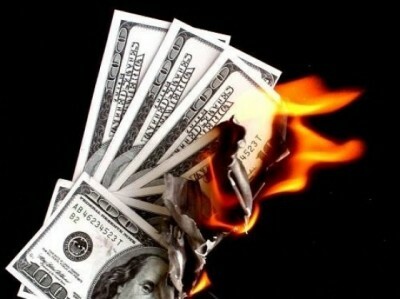 Several studies have shown that on an average 25% or more of all cash never gets tendered. If one looks more deeply, it becomes apparent that tax evasion is a rampant worldwide practice – accounting for 3% of GDP in the US and as high as 10 percent of GDP in India. No one likes to pay taxes, realizing that there are ‘big fish’ who evade tax nets. Consequently, even law-abiding citizens engage in tax evasion opportunistically. Come to think of it, no one wants to live in a society where rules are rigidly enforced. At a socio-psychological level, however, a tax regime is incompatible with peoples’ perception of living in a truly democratic society. Therefore, the mounting challenge before the State is to balance an individual’s right to privacy with society’s need to enforce its laws and regulations. This in no way means that the state should not enforce the rule of law, but using harsh fiscal measures to serve narrow political interests is unlikely to evoke desired confidence across the law-abiding citizens in the country. Tumbling of undisclosed cash from hidden lockers may fulfill the populist notion of ending corruption but the harsh reality is that corruption predates paper currency and will live long after it is gone. Though demonetisation may provide temporary reprieve from criminal activities, terror networks are known to use transaction technologies that circulate completely outside the legal economy. There is no denying the fact that massive quantities of unaccounted large-denomination currency is a huge public policy problem, but what purpose does replacing high-denomination notes with fresh notes of similar or higher denomination may serve is beyond easy comprehension? With each passing day, it is becoming clear that the government had indeed hurried through its decision, counting the proverbial chickens before hatching. Having opened the Pandora’s box of divisive politics, the government should avoid going on an overdrive to make its erroneous decision look optimal ex post. Losing peoples’ faith and investor’s confidence will prove costly in the long run. It is a risk that is not worth taking!